We’ve been offline for a little while (that’s why our year in review is a little late). Sorry, not sorry 😛. Happy 2019! Our team grew twice in 2018. Designmodo started as a side project by one person; now we are 15 team members strong 👏. We don’t use investors money to grow our business, we only rely on our customers by providing the best products and support we can offer. If you’re a web developer or Web/UI/UX designer, you love your job and you want to work with us, send us an email. We started 2018 with a new product called Postcards, that allows you to save time on creating stunning email templates. Now, Postcards is on its second version and this year we’ll release the Postcards 3. Since release, we improved the product drastically: added the Visual Editor for the modules and the My Projects tab to save/restore your projects for the future needs, optimized the code, and added new Transactional modules. We have received a ton of positive feedback from the community. In 2018 we spent a huge chunk of the year completely revamping all corners of the website from scratch. 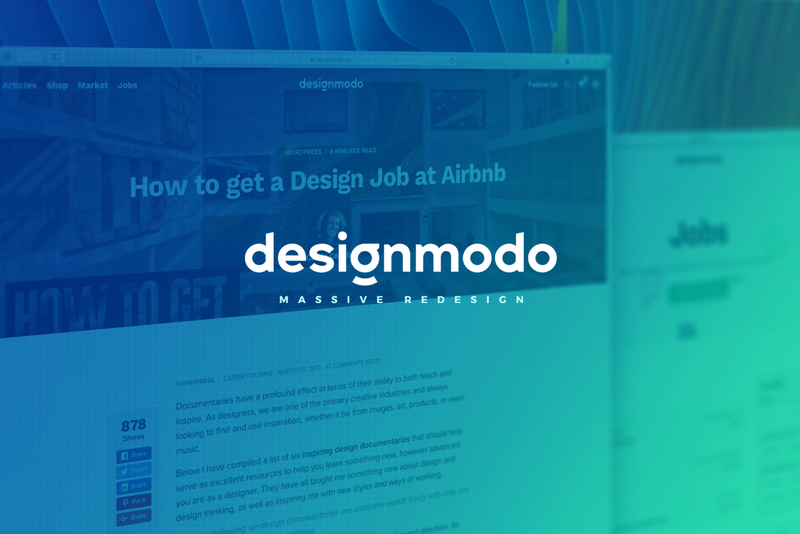 A massive website redesign and new logo were major changes for Designmodo in 2018; both articles are the most liked and shared here on our medium account. Take a look to see what we changed. During the redesign, we announced a Jobs Section. Here, you can connect professional opportunities for jobs with the best-matching candidates in the web industry. During the summer, we released Slides 4, a static website builder with an online generator. We included a ton of new features and updated the price model. This will allow us to make more interesting releases in the future. We published 200+ posts (news, articles, infographics, showcases, cases studies and freebies) in 2018. Follow our blog for new content each week! We have big plans for 2019 to improve our current products and introduce unique products for new segments of customers in the web design and development areas. 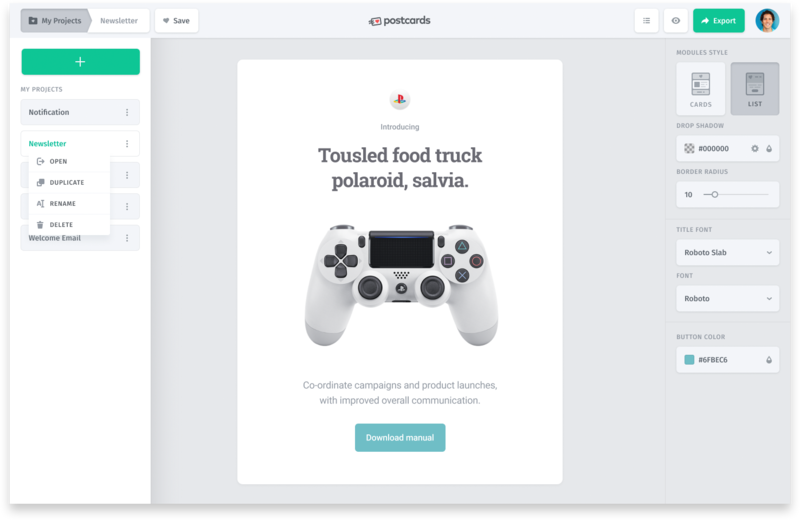 We’ll redesign the Postcards App, improve the editor, add new designs and announce new features related to email templates, preview, and integrations. This month, we plan to release a Slides demo version and new designs and templates, and improve the usability of the framework and functionality of the Slides App. Finally, we’ll release the biggest update of Startup Framework 🚀! The new Startup App will get a refreshed look, a powerful new editor with live preview, new modules and templates, and a new pricing model. Much more to come! From the beginning, our main page was dedicated to helpful articles that people loved because they were insightful and topical. However, with time, we shifted our focus to making products that help people save time on making websites and email campaigns. So this year, we’ll finally update our landing page to reflect the new direction: Timesaving tools for designers and developers. 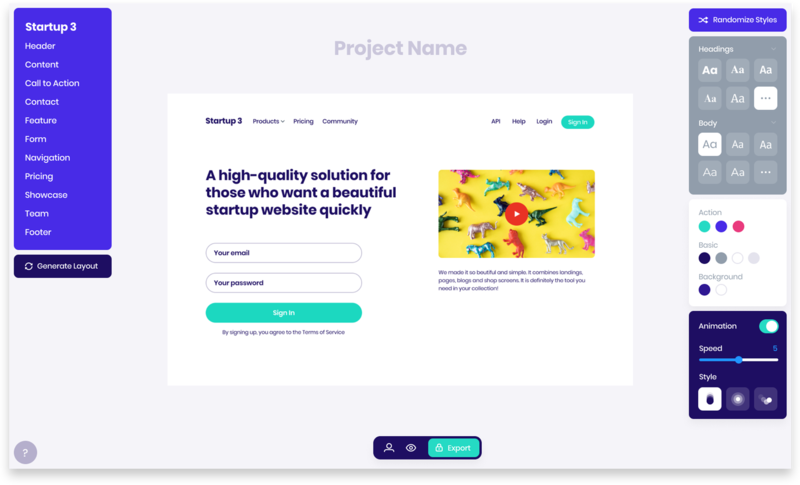 For 2 years we’ve been working on a secret 🤫 online website builder that will change how people make websites. 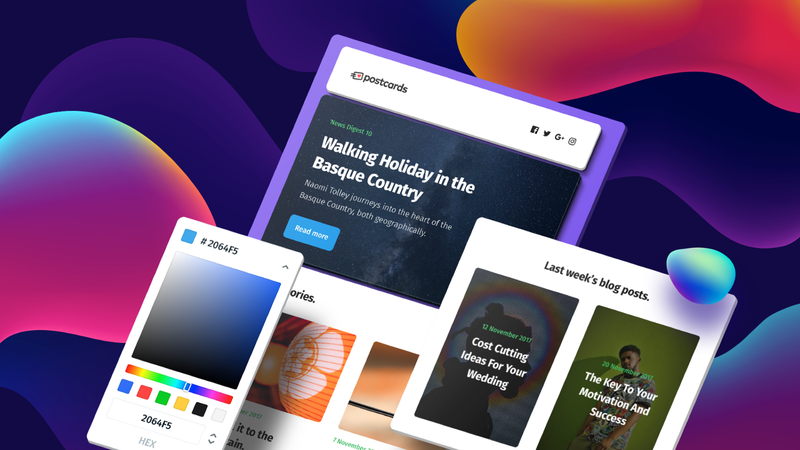 A new service will allow you to design (like Sketch or Figma), build and publish websites with your own domain with no coding skills. Sound interesting? We’re looking for beta testers! Send us an email if you want to try it out. More details coming soon! If you interesting in something specific — feel free to ask us in the comments. And don’t forget to subscribe, if you still don’t. Our team wishes you a productive 2019! See you with new updates soon!